Grace was fortunate enough to qualify for two events in the Championship Meet. For a six year old we were extremely proud that she even qualified. 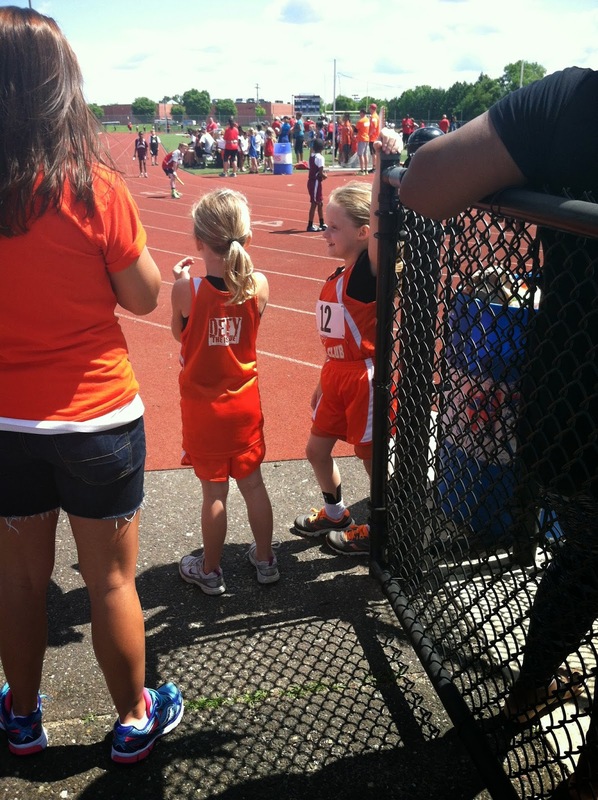 Her first race of the day was the 400 meter. It is her best race and she was in a field of 15 girls between the ages of 5 and almost 9. She was SO NERVOUS leading up to the race. She looked so nervous at the starting race that it made me incredibly nervous. Thankfully she qualified with two of her friends from the team. She came off the field very disappointed because she ended up fifth overall. 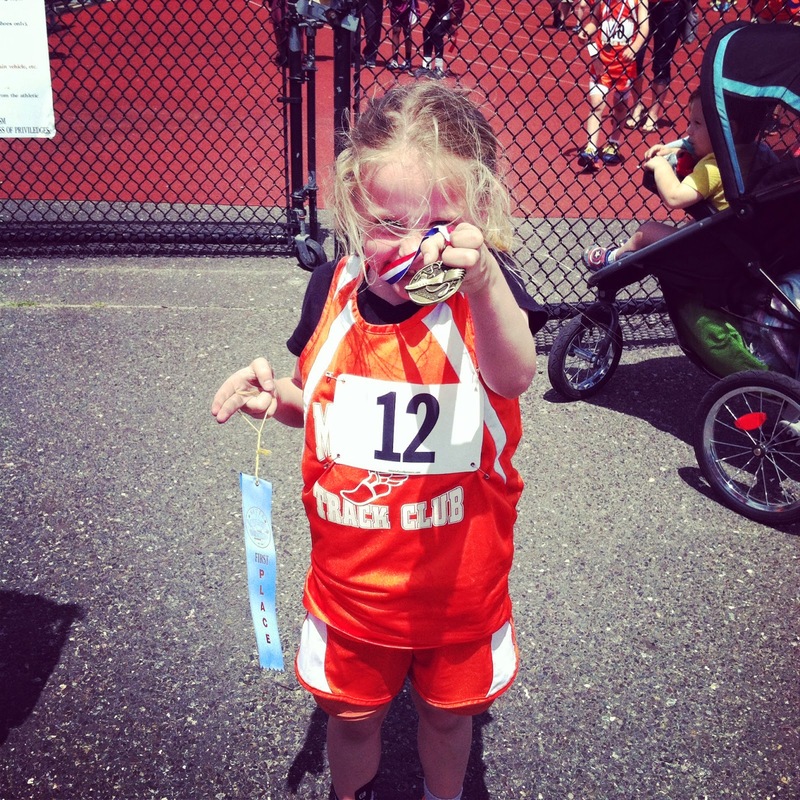 The last race of the day (for her and the entire meet, making it a very long day) was a 4 x 400m. 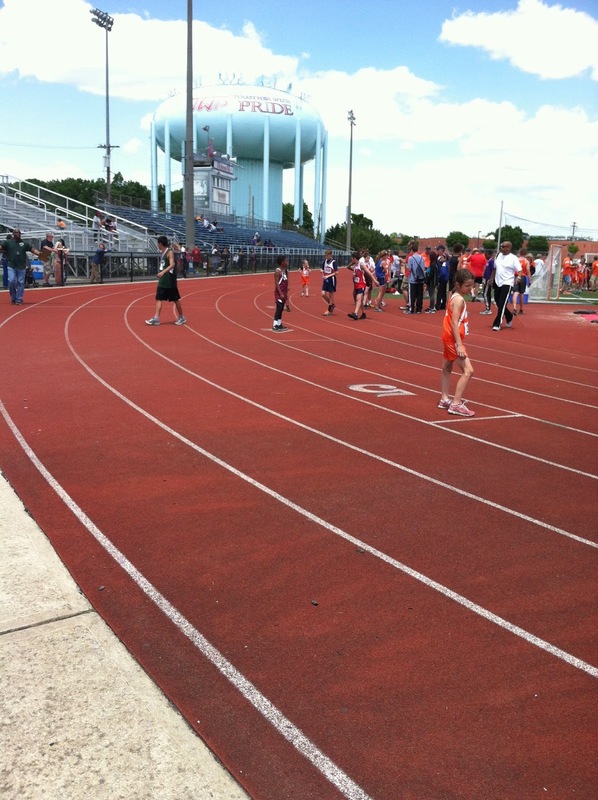 Our township had put together two really strong relay teams. Grace was technically on the "B" team, based upon times. 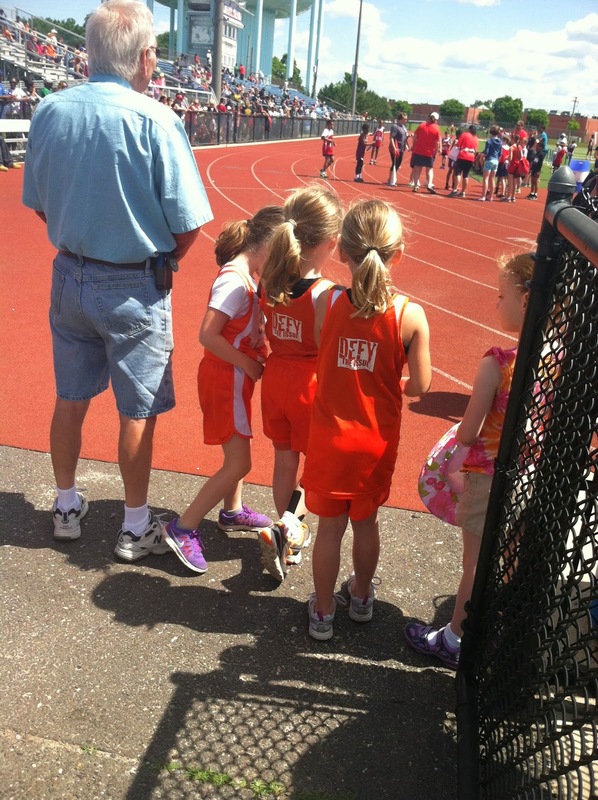 When they lined up she was in the same race as boys and much older kids. I could tell it was making her nervous. She ran the first leg and looked phenomenal. 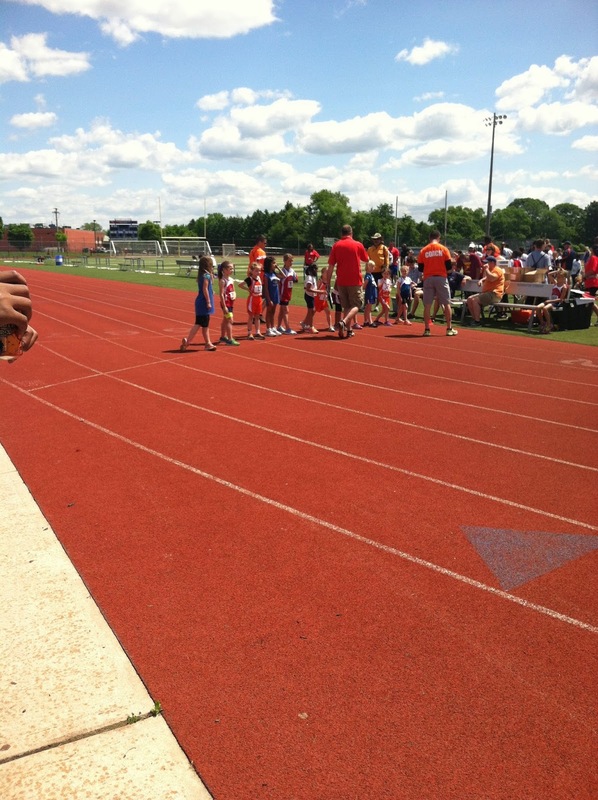 In her leg of the relay she beat the "A" team from our township and two boy teams. She ran a 1.35 which was amazing. The best part is that when she handed off her baton she then ran the remaining three legs of the race alongside her teammate (on the infield) cheering them on. And guess what, they won the gold medal!!!! She should be beaming! What an awesome accomplishment. 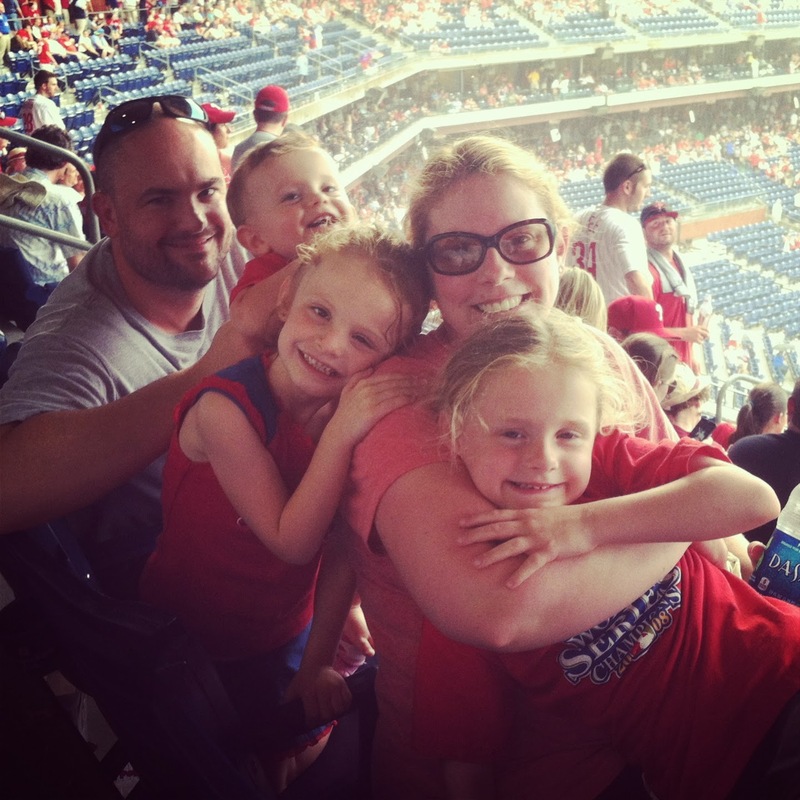 Way to go, Gracie!